The over/under was highest since the stat started being tracked in 1986. Due to the field being completely messed up, the massive potential Super Bowl preview between the 9-1 Chiefs and 9-1 Rams was moved from Mexico City to Los Angeles. That turned out to be a blessing in disguise as we were treated with one of the greatest NFL games ever, a 54-51 Rams victory that became the third highest scoring game in NFL history. It was a game that got neutrals hoping this will be the Super Bowl matchup. Gamblers also loved last night’s game. Despite a 64 point over/under, which was the largest over/under since the stat started being tracked in 1986, a lot of people bet the over and that meant the sportsbooks lost big. According to a spokesperson at William Hill, 69 percent bet the over in their 108 Nevada sportsbooks resulting in a “healthy seven-figure loss.” And according to ESPN, the next highest over/under was a Rams-49ers game in 2000. In that game, the under won out as the 34-24 final was just short of the 62 point mark. Despite sportsbooks getting the over/under wildly wrong and losing big, they perfectly nailed the spread. 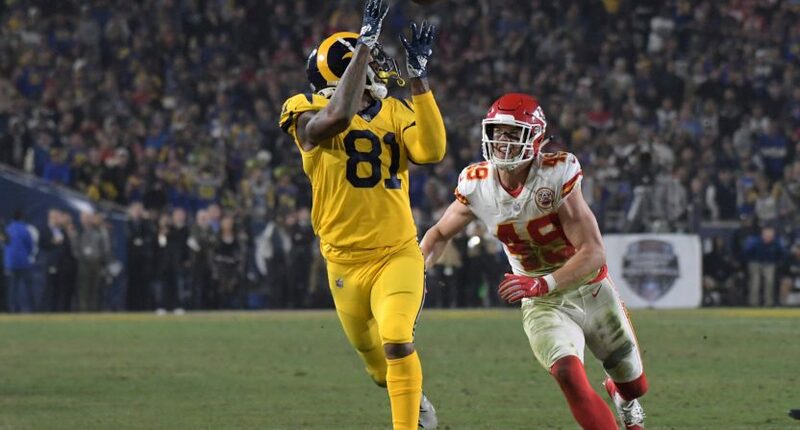 With the Rams’ late game winning touchdown and ensuing interception to close out the game, the Rams met the three point spread set by sportsbooks. In the end, it’s tough to shed a tear for the sportsbooks who lost a bunch of money on the game. It’s gambling, they’ll eventually win it back.